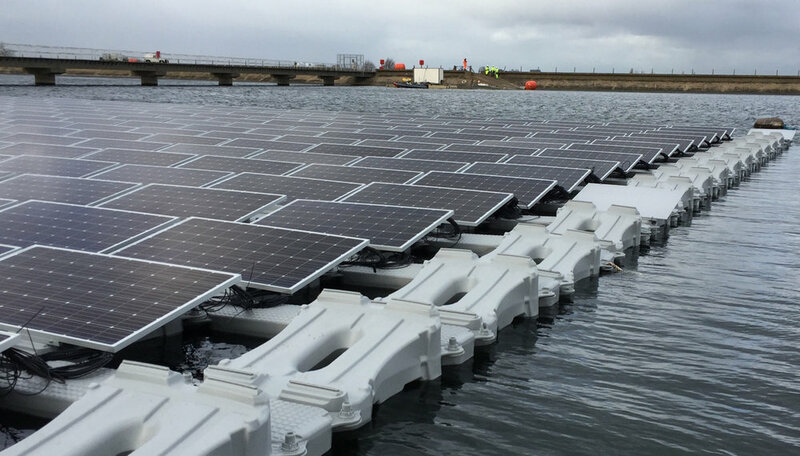 A 6.33MWp floating solar photovoltaic project on the operational Queen Elizabeth II reservoir in Walton-on-Thames, Surrey. Private wire project delivering electricity directly to the point of use. Built and commissioned by the end of March 2016, and since confirmed eligible for Renewable Obligation Certificates. 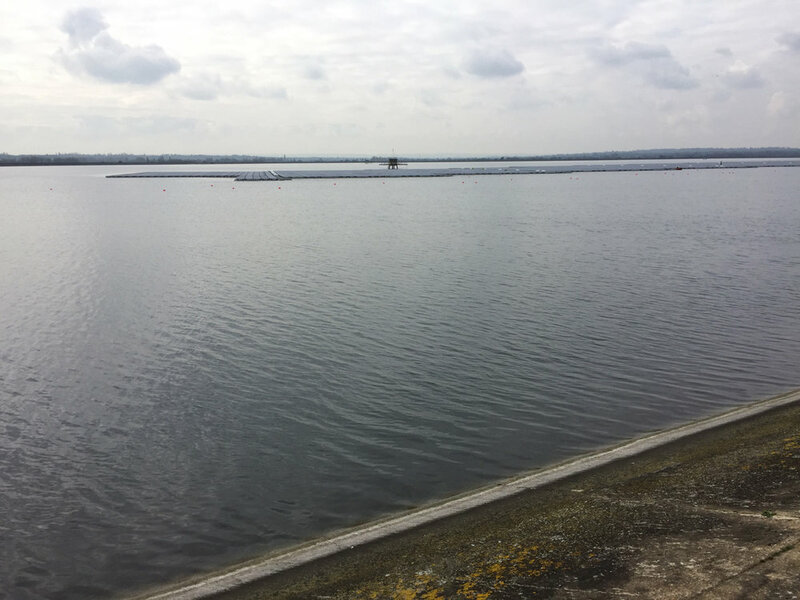 Europe's largest floating PV project, and overtakes our previous Walton Water Works project (below) as the largest in London. A 1.7MWp ground-mounted project on the Walton Water Treatment Works, built in redundant Victorian slow sand filter beds. Single largest PV project within Greater London. Independent power project that did not require client capital investment. A 103kWp ground-mounted pilot project for an oil company in Pakistan, built on a complex operational site that has been in industrial use for more than 100 years. Hybrid system fully integrated with on-site diesel generators. Capable of running both in islanded and in grid connected mode. Private wire project delivering electricity directly to the point of use, saving diesel and grid imports. Designed for subsequent expansion on the same site, and replication on other sites. A 1.5MWp ground-mounted project carefully designed to be installed on the roof of Victorian sewage surge tanks that have limited structural capacity. Integrated into the client’s SCADA system. Installation did not affect operations. 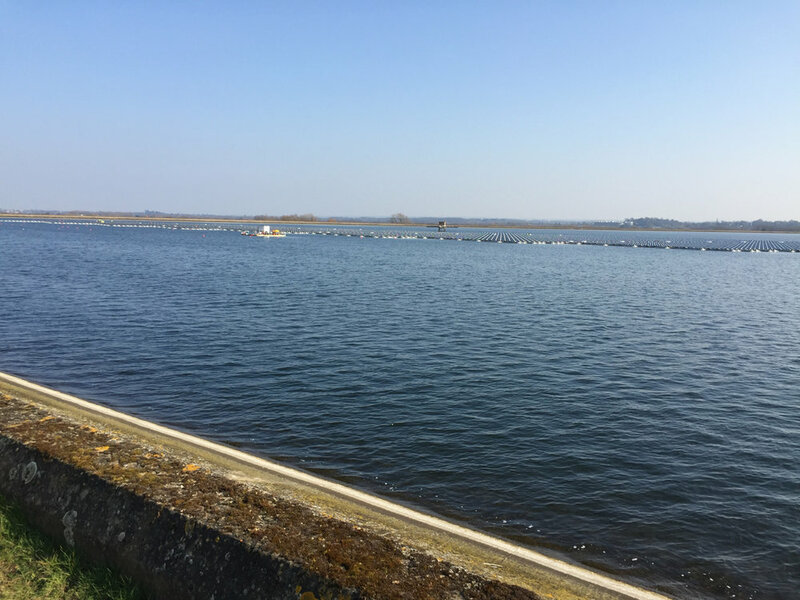 A 500kWp roof-mounted project on one of the UK’s largest reverse osmosis water desalination plants making productive use of otherwise fallow space. PV retrofit did not adversely affect the roof warranty. Project helped client achieve town planning commitments. Installation in a secure area that did not adversely affect operations.